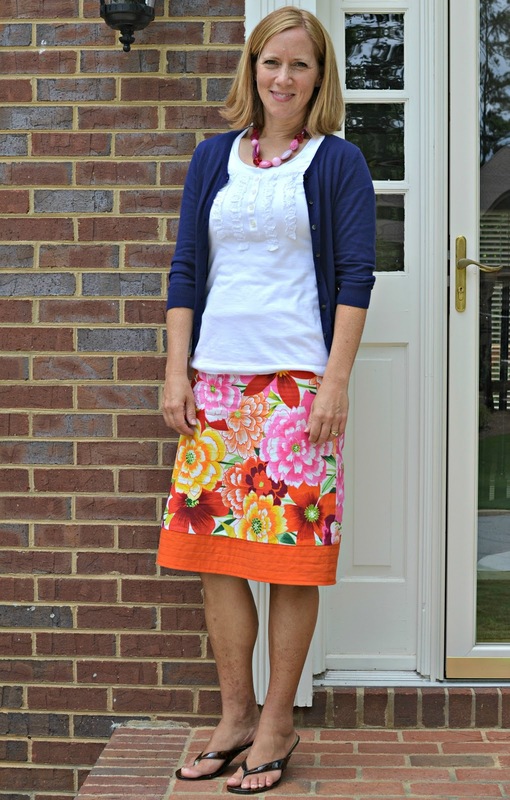 Blue Susan makes: A Skirt for Me! Here is a little project I sewed up this summer. 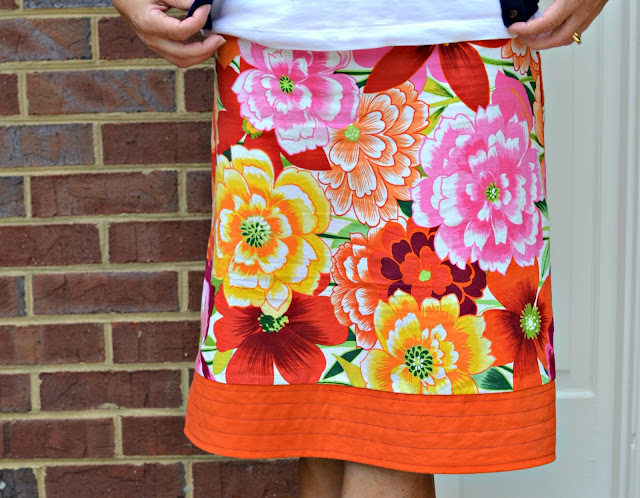 I was inspired by Skirt Week to sew up a bright little skirt for myself. It is a little crazy but I love it. I'm a sucker for big flower prints, just usually not for my clothing. Pink and orange is such a great combo. My favorite part is the wide band with the stitching on the bottom. Next post I'll show you the back pack I made for Mer for school.